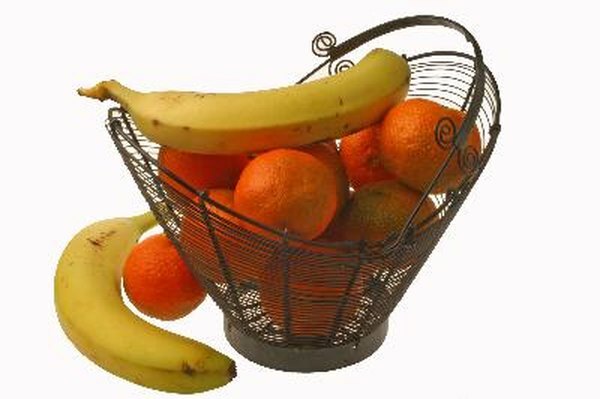 Fruit can give you a quick boost of energy and also healthy dietary fiber. They're especially rich in vitamins and minerals, such as vitamin C and potassium. You can eat fruits whole and raw, cooked, or juiced for little variety. Usually low in protein and fat, they make an ideal snacking foods when you're watching your weight. As a rule, smaller fruits contain more nutrients and flavor per ounce than larger fruits, because the nutrients are concentrated most densely on or just under the skin. Fruits, especially berries and dark-colored types like plums, are also loaded with natural compounds that are antioxidants, which help rid your body of free radicals that, when they build up over time, can raise your risk of some chronic problems, including heart disease and cancer. Vegetables are either the fleshy part of plants, which are less sweet and more nutrient dense than fruit, or the leafy green parts of some plants. Many veggies such as spinach and kale taste good eaten either raw or cooked, and they generally contain a spectrum of nutrients, from vitamin A through zinc. Although most contain little protein or fat, they make up for their low calorie content with many naturally healthy phytonutrients that promote good health. The legumes, which include peas and beans, are also packed with healthy fiber that promotes intestinal health, helps prevent constipation and can give you a full, satisfied feeling quickly after a meal. Green leafy vegetables are often recognized as the most nutrient-dense. Nuts help bring nutrients to your diet that are usually provided by meats. They're rich in protein, an important energy source for all your cells, and they also contain healthy fats. These omega-3 fatty acids, a type of unsaturated fat that provides a dense source of calories but doesn't raise your risk of high blood cholesterol. On the contrary, this kind of fat can increase your blood levels of HDL, also called "good" cholesterol. Nuts aren't a complete protein source, because they're not an animal product and are missing at least one of the nine essential amino acids, but they're often rich in fiber. Almonds, walnuts, hazelnuts, peanuts, pecans and pistachios are often used as snacks. A diet of fruits, vegetables and nuts is high in fresh nutrients, fiber, antioxidants and healthy fats, but it's missing in some nutrients. These include the B vitamins, which support your nervous system and are essential for your health. These are mostly found in meat products such as chicken, beef, dairy and eggs. Taking a daily vitamin supplement is one way to avoid being low in these and other vitamins, which are water-soluble and can't be stored by your body. If you don't add lots of nuts to your diet, you might also become low in the fat soluble vitamins A, E, D and K, which are poorly absorbed by your body when not taken in the presence of dietary fat. Talk to your doctor to decide how best to design this type of diet to support good health.